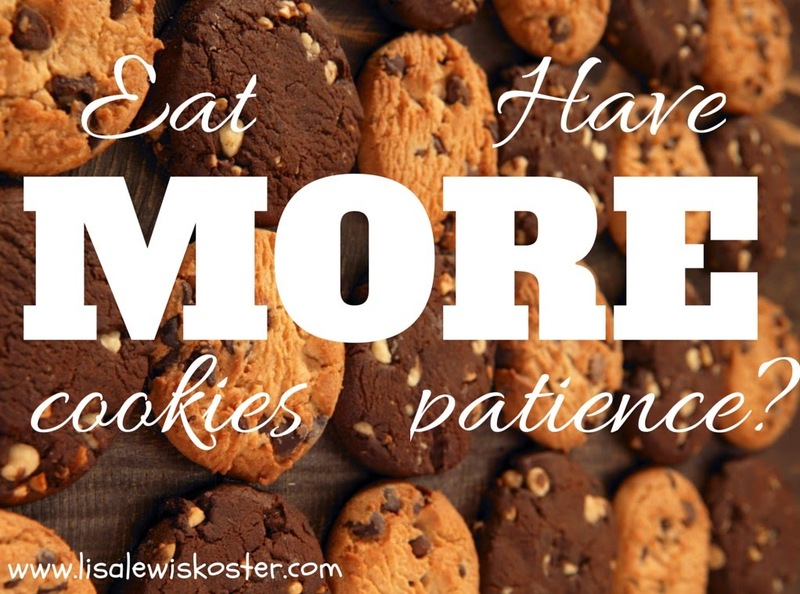 True Hope and a Future: EAT MORE COOKIES, HAVE MORE PATIENCE? Actually, the researchers determined we have self-control in limited amounts. In other words, we can use it up. I realize this is not a newsflash, but now you can be assured that your waning patience is not your imagination. In the studies, the "radish" group had already spent a measure of their self-control on avoiding the cookies, which left them with lower supply of patience when it came to working the puzzles. 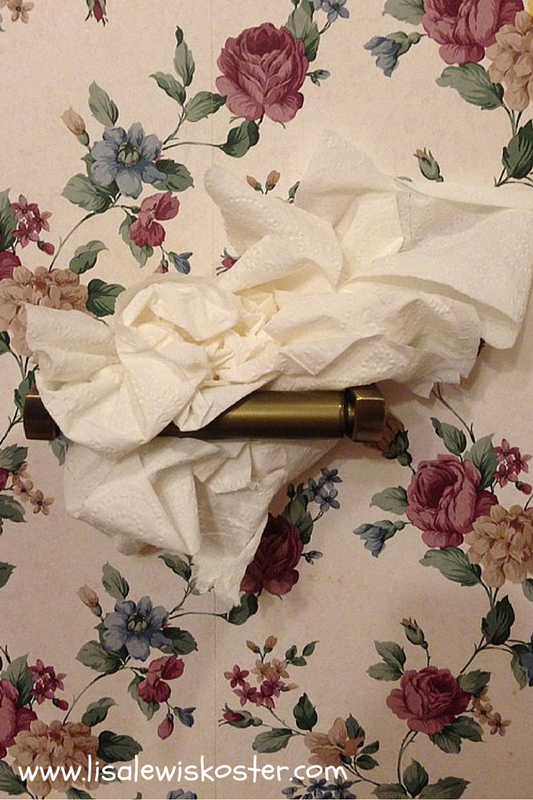 the "pirate" has removed his "spyglass!" Dude and Bubba, my 3- and 2-year-old grandsons, have been living with me a month now, and I can tell you from experience that the results of this study were spot-on. Caring for them two days a week, I had plenty of patience to deal with the exploits of two active and curious toddlers. Living with them 24/7 I find my patience is tried on a regular basis. It also explains why that cookie that you've resisted all day ends up in your hand at the end of the day. Or why that one minor offence sets you off when you've successfully dealt with issues of greater magnitude. So, does the fact that we possess these fruits of the Spirit (Galatians 5:22-23) in limited quantities mean that its okay to "loose it" once our supply has been depleted? Obviously that isn't the case, because that's what we humans tend to do when relying on ourselves and it never is to our benefit. So then, what are we supposed to do when we need more patience than we have? 1. Be Rooted in God's Word. I find I have much more patience and self-control if I've spent some time with Jesus at the beginning of my day. Sometimes it means letting the boys sleep in longer than they should and sometimes it means my husband watching them for a while in the morning so I can start the day off on the right foot. (During this season, getting up early is not an option - these boys exhaust me!) When this isn't possible, I plant my Bible on the kitchen counter and read a verse or two every time I pass. Put the phone down and rather than looking at it, look at the Bible instead. Trust me, you'll be much better off in the long run. 2. Eliminate stressors. When the boys moved in, the first thing I did was shelve all my plans (which is the primary reason my posts have been so few and far between.) There's no way I'd be nearly patient as I have been if I was trying to meet deadlines, keep a perfect house (is there such a thing? ), making time for the gym (I think hefting 40 pound toddlers up and down the stairs should count for something! ), etc. We're in survival mode here. I make sure we eat and have clean clothes. Anything else I get done is a bonus. (I'm only writing this because their Mama was able to come home for a day, giving me a break.) Look at your schedule and determine what you can remove from your load, even if only temporarily? 3. Remove yourself from the situation (or away from the cookie). My husband is great about giving me a break when he can, but most of the time it's just the boys and I. In addition to accepting help when it's offered, I take advantage of things like story time at the library where I can take a back seat and let someone else be in charge, even if only for a short while. Worst-case scenario: I give myself a time-out. If time out for the boys isn't working (i.e. they're not cooperating.at.all) I tell them grandma needs a time-out. They're not sure how to respond to that, and are actually much better at behaving themselves during my time-out than they are for their own. The first time we did this, Dude prayed, "Dear God, we thank you for this food," just like he does at dinner time. But over time, with encouragement, he's learning that he's not going to find what he needs within himself but God has an abundant supply of it all. Oh, how I wish I learned that when I was three! This is such great post, Lisa! I can relate from all sorts of angles - as a mom and a wife and as a recovering food addict. We cannot survive temptations on willpower alone! One tax season, as I labored over our business and personal taxes, I must have gained 10 pounds eating a box of candy we had gotten somewhere. I could not resist, as the candy gave me energy to think and work the puzzle! ha. Thanks for sharing here at Tell me a Story, and may your daughter be healed in every way!